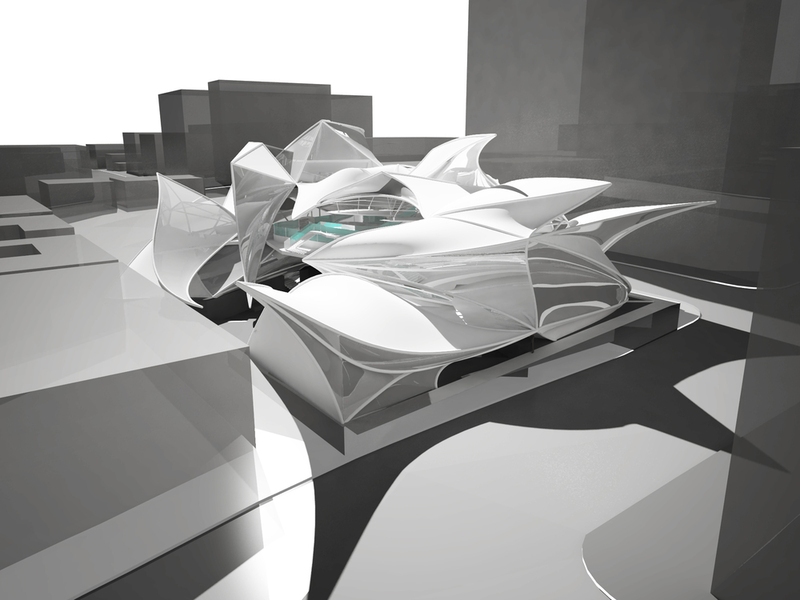 This project was a proposal for a recreation center for downtown Los Angeles. 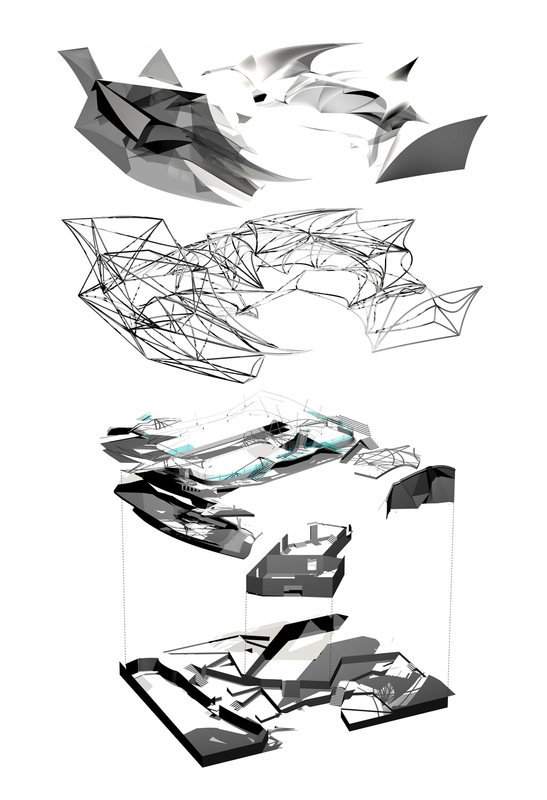 The desire was to produce a dynamic spatial aggregation of unique localized systems aimed at reflecting the exchange between restless city living and interactive sports. The building’s enclosure plays a vital role in the arrangement of interior spatial conditions, where one activity seems to bleed into its adjacent program. The result is a complex overlap of various program beneath a flexible tensile structure, a sharp contrast to it’s surrounding city context. The lower portion of the building, nested within slope of the site, will be walled in areas of function (administration, machinery, and locker rooms). This becomes the air tight enclosed space that anchors the center and provides structural support for the soccer field and other activities above. The upper half of the project will not be fully enclosed but will rather be a semi-open air space. The naturally occurring apertures allow air flow to the indoor multipurpose areas. The shape and material choices of the building work in conjunction with the line of sight and breadth of view of its occupants. The circulation and exterior geometry therefore become a product of composing unobstructed views between occupant/object and occupant/occupant. The building houses a diverse program sponsoring a multitude of elevational perspectives. Its envelope provides shade in particular areas and opens to allow sunlight and passive ventilation to reach others. The organization of program is based on zones of differing intensity levels to generate a circulation path and overall trajectory as one navigates the center. The project seeks to celebrate the interaction and/or participation of different activities in hopes of exposing its occupants to new athletic interests.